A substantial number of Samburu (livestock herders in northern Kenya) have claimed to have witnessed the resurrection of family members or neighbors, and others have reported hearing the eye witness accounts of generations elder to them. This talk will describe these accounts and discuss how Samburu understandings of these events bear on a dynamic view of humans as persons in a world of fiercely contested truth claims. 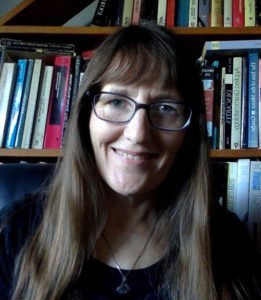 Bilinda Straight is Professor of Anthropology and of Gender & Women’s Studies at Western Michigan University. Her earlier work has focused on gender, material culture, and the nature of human experience. Over the past decade, she has engaged in a series of National Science Foundation funded studies related to warfare, drought, morality, and difficult experiences, as they are both culturally experienced and sedimented in human bodies.